In 1935, while the Nazi persecution of Jews intensified, the dealers sold the remaining works of the Guelph Treasure to the Prussian State, which was believed to be acting on behalf of the Nazi leader Herman Goering. He profited from their hardship by paying them only 35% of the works’ value, the heirs’ lawyers say. They add that after the sale, most of the dealers fled Germany and one died under questionable circumstances, and point to newspaper reports that say Goering presented the works as a gift to the German chancellor Adolf Hitler. US forces recovered the treasure at the end of the war and eventually put it in the hands of the SPK. 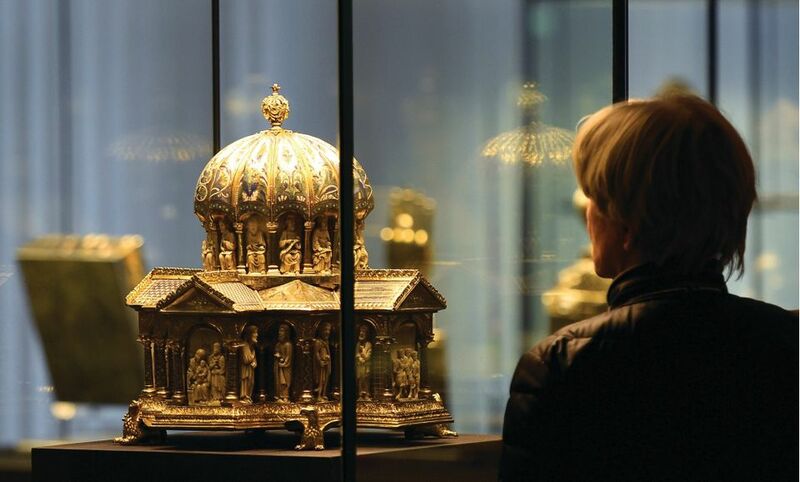 The heirs to the dealers brought the case in the US in 2015, after their efforts to recover the works were turned down by the official and non-binding German Advisory Commission for the Return of Cultural Property Seized as a Result of Nazi Persecution, Especially Jewish Property. (The advisory board was originally set up to avoid the time and expense of private litigation over Nazi-looted objects.) The heirs demanded the return of the objects or $250m. The case is one of the first affected by America’s recently enacted Holocaust Expropriated Art Recovery (Hear) Act, signed by President Barack Obama, which makes it easier for the heirs of victims of the Nazi regime to file restitution claims in the US. Germany and the SKP argued that US courts had no authority over the dispute and that private litigation interfered with foreign policy between Germany and the US. Lawyers for the SPK also disputed the idea that the financial persecution of Jews in Germany in 1935, when the sale took place, constituted genocide. “There may be a genocidal intent there,” said one of the SPK’s lawyers, “but it’s still not a genocidal act.” But the appeals Judge Thomas Griffith warned: “You have a tough argument to make in separating this from the other horrors that were taking place in Nazi Germany at this time”. Hermann Parzinger, the president of SPK, said in a statement issued after the decision: “It is SPK’s long-held belief that this case should not be heard in US court, and we remain committed to demonstrating that the case has no merit, as the Guelph Treasure’s sale more than 80 years ago was not a forced sale due to Nazi persecution.” The agency is now weighing its next steps in court. But the German reaction has caused disbelief in some. “No one knows German history better than the Germans, having lived it and having litigated it for 70 years, and it’s very distressing to hear them say such troubling things,” says the lawyer Thomas Kline, a veteran of Holocaust Era restitution cases. “The case is important because it shows Germany just doesn’t get it,” said Nicholas O’Donnell, the lawyer representing the heirs.